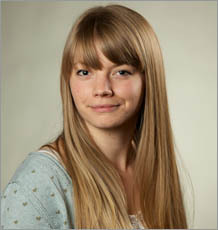 Lucy started her PenCLAHRC funded PhD at the University of Exeter Medical School in October 2011. Her project is looks at how families and social networks come to recognise the early stages of dementia in a loved one and how they make decisions about whether and when to seek help. The study employs qualitative methods and involves interviews with people with newly diagnosed dementia and the members of their family and social networks. It is hoped that an improved understanding of why and how people seek professional help during the early stages of dementia will inform the development of an intervention to improve diagnosis rates. Her interest in this area grew through her undergraduate degree in adult nursing and her subsequent work in a dementia care residential home. The TIDeS (Timely Identification of Dementia in Social Networks) project – Lucy is currently in the final year of her PhD project, looking at how people come to recognise the possible signs of dementia and how they make decisions about whether and when to seek professional help.